Mom, the Intern: On young marriage. I need to admit something to you all. And I feel like maybe this admission needs some confetti. It's pretty huge news. Go ahead and gawk. I'm giving you permission and that's kind of awesome. You'll miss out on the fun of being single! You aren't likely to graduate from college. You're throwing away your life. Even at BYU, when people found out I was married, they'd almost always automatically ask about my age. Nice, right? It happened so often. Twice, three times a week. Co-workers, colleagues, even professors. Every time, I'd answer honestly and the expected reactions would ensue. Facial expressions ranging from slight discomfort to horror. The vague but revealing "Wow." Sometimes, very personal questions ("Did you have to get your parents' permission?" NO). And of course, the retroactive advice ("Aw, why were you in such a hurry? You should have enjoyed being single for longer!" I actually didn't enjoy being single, but ... thanks?). And so, as these questions were continually fired in my direction, I became increasingly frustrated. I avoided the topic as much as possible. I even considered lying about my age or not wearing my gorgeous wedding ring to avoid the unsolicited questions about my marital status. But after a few months of this crazy marriage-age dodgeball crap, I decided to keep wearing my ring and I tell the honest truth: Yes, this gigantic, shiny diamond on my left hand means I'm married. Yes, I'm young. No, it wasn't illegal. Now, can we move on to more important things, like this group project that's due in two days? Please? Anyway, looking back I see that I was something of an anomaly and people were probably just curious about my situation. So, here I am to save the day for those who wonder inwardly what it's like to be a young married person (YMP). I've created this list of FAQ's for your enlightenment. Feel free to ask additional (kind!) questions in the comments if I didn't cover something. Were you forced or even encouraged to get married young? Definitely NOT. In fact, pretty much everyone -- my friends, church leaders and family -- were leery of my decision up until the very end. My parents gave us their blessing and supported us during our engagement, but as you can imagine they were concerned. 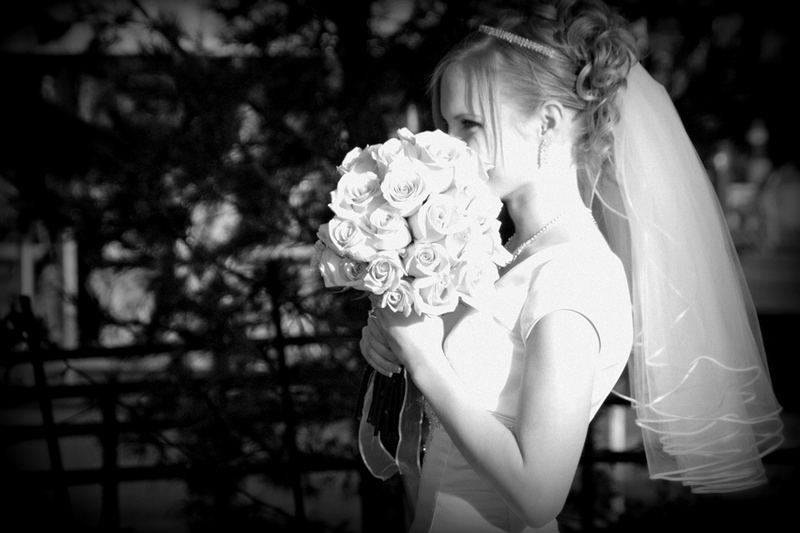 Getting married was 100% my choice, albeit one most people did not want me to make. Were you pregnant? No. Also, in case there were any doubts, I'm not currently pregnant, either. Just thought I'd throw that out there for good measure. How long did you two date? Dill and I dated for just over a year before getting engaged, and then we married two months later. So, 14, almost 15 months. Yes, we met when I was 17, hence the need for long, atypical-to-Mormons courtship. But I enjoyed every moment of it and I felt like I really knew Dill by the time we made things official. Are you a polygamist? Definitely not, though I sometimes dress like one. Haha. Did you have to get your parents' permission to be married so young? No. I was 18 (actually, almost 19), a legal adult. In the state of Arizona, you are only required to have parental consent if you are under 18. But, we were courteous and did ask for our parents' blessings beforehand. Were you scared to get married? Not one bit! I was totally ready. I know that's hard to believe, but almost seven years later, I still feel the same way. Everyone leaves the nest at different times, and I left mine a little earlier than most. And I had absolutely no fear about the person whom I was marrying, which made it that much easier. He definitely has a good head on his shoulders. Driven, stable, kind-hearted, loving and supportive. I had nothing to worry about. Did you always want to marry young? No way. After dating a few guys in high school and having some miserable experiences with that, I decided I was finished with this whole dating thing. Single 4 Life!!! I wouldn't even THINK about guys until I was a few years into college. I would graduate single, go on a mission, get a Master's, conduct high school choir for a few years and then get married. And of course, as soon as I made up my mind about this, I met Dill. Change of plans! Do you ever regret marrying young? No. Never! I made my choice and I've chosen to embrace it fully. People will often insinuate I missed out on life by marrying at 18, but I can't begin to understand this -- I feel like all I've done the past 6 1/2 years is live life to the fullest! I can't really think of anything a person can't do while married (except for maybe dating a whole bunch of guys simultaneously, which I managed to do just fine in high school). You can travel. You can finish your college degree. You can have an illustrious career. You can be part of fantastic choirs. You can volunteer. You can exercise. You can do anything, and the best part is you get to do it all with the person you love more than anything else by your side. Agreed! I got married young too (although not quite as young as you) but after 8 years I too can say I've never regretted it. I also finished my degree after we were married :) I did get a couple negative comments when I got engaged but when I knew my husband was The One and I wouldn't change a thing! I was engaged at 18 and married at 20. I know exactly what you mean about the concern from everyone. My parents were a little concerned, but I knew what I was doing and I was excited! Do I regret getting married so young? Absolutely NOT! Would I do it again if I had the choice? Absolutely YES! Would I recommend it to others? Absolutely NOT! Haha married, not marred. Stupid phone! I'm asked all of those questions still and I'm 24! I think people think I just got married and when I tell them we're going on four years, they do the quick math and stare at me kind of weird. Then the questions about kids start - do you have kids, no?, why not? There's no escaping it, I've just started to remind myself that people are just naturally curious. Glad you decided not to keep your ring off - wear it proud! yay for getting married young. woot! i was 19. one of my older sisters was 19. my mom was 19. it seemed to be a family trend. haha. Good for you Jenna! I was married was young too. Im only 22 now, and got married about 2 1/2 weeks before my 18th birthday. Tyson and I grew up threw he block from each other as kids, so i knew him. When we started dating, he lived in Arizona and I lived in Utah. We only dated for about 2 months before we knew it was right and got engaged. He proposed to me on May 30th (my ENTIRE family and everyone my parents had ever talked to in their lives, knew about it before i did) and then we set the date for June 23rd. After being married for just over 4 years and having two kids, i also get asked all the awkward questions. Yes i really was still 17, yes my parents had to sign for me, yes they approved, no i wasn't pregnant (although that was very soon to follow), it was my choice, i was completely ready to move on with my life and start living the way i wanted to. Yes its hard to be married period, and at times its harder being married so young. But i wouldn't change any of it. Nothing in life worth having cones easy, so that means my marriage and kids are definitely worth having :) thanks for sharing your story Jenna! I got married a week after I turned 20 and that was 9 years ago! We have definitely lived life to the fullest and we've done more together than I ever could have done by myself (like... live in Europe... go on rad vacations...etc). I love your perspective! Sometimes, getting married young works out the best as long as you're committed to growing and changing WITH that person and LOVING them no matter what. I didn't get married as young as you but it was still pretty young. And we met and got engaged pretty quickly. We both had always said we'd never do the classic Mormon dating, but never say never! Anyway, I've had lots of people tell me that since I got married young and had kids young that I never "found" myself, and I'm not as cultured because I didn't travel, etc. I'm glad there are other people out there like me! Way to go. I got married at 20 and I also hated being single. I love being married. I hated when people would tell me to wait a long time to have kids. That bugged me a ton. All I ever wanted in life was to have an eternal family and I wasn't going to wait years cause everyone told me to. I don't think I've missed out on anything. My family is everything to me. In fact, my 3 yr old just told me she loves me with all her heart. Yep, it's a great life. Thanks for this post. The question is, why do we all have opinions of what other people SHOULD do? Let's all be friends and live life! No worries about age! I think it is crazy that people worry about it. I know 30 year olds that aren't prepared. 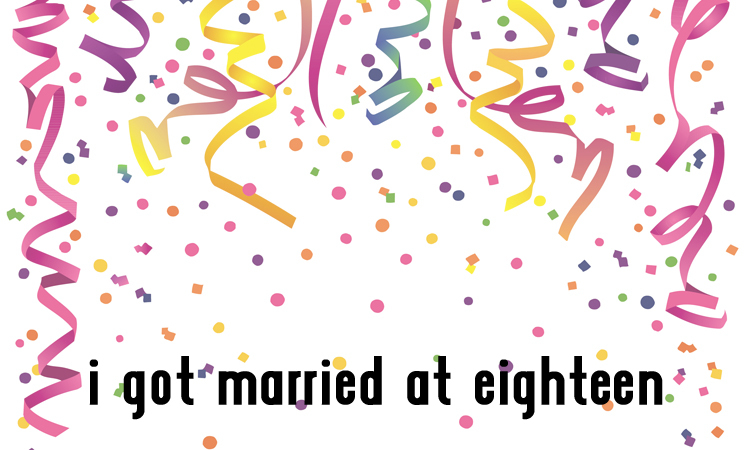 I got married at 18 to a man I had only known for 2 months. We knew it was right. Here we are, 26 years later, with 16 kids and going on 4 grandbabies and more in love than we ever could have understood then... because life happened and we grew up together and he still makes my heart go pitter patter when I hear him on the phone or when he walks into a room. When it is right... it is right!!! Be who you are, and be it proudly! God clearly had a plan for you and Dill to meet young and marry young. I cannot believe the questions some people ask. I know most aren't trying to be rude, but I think we could all do ourselves a big favor and really think about what are asking someone. I don't ask if people are married or if they have children, both are very sensitive topics and I'm not going to go there. I always thought it was normal to marry between 18-21 in the LDS faith. All of my good friends from Church married between that time with a few at 23. I always wanted to marry young as a kid and never thought in my wildest dreams that I would be single at 25. You get what you get! I love my life, this is God's plan for me and I am living it to the fullest. You didn't miss out, you are doing something different. We can have it all (marriage, family, career) just not at the same time. Who are we to do things at the exact same time as everyone else? God created us to all be different, let's embrace the differences. Is being single at 25 what I planned? No. But getting to sleep 8-9 hours a night, eating out as much as I want, staying up late, pursuing careers/jobs I wouldn't otherwise be able to, spending all my spending money on me, having a clean house... just a few of the perks to not marrying young. You are great Jenna. And I'm glad you are open with who you are. Stand proud. How funny you wrote about this. I've been drafting an article on this as my sister is getting married at 19 and it had me really worried. But, I think just like you, she knows what she wants and will not regret it. It's hard when you're on the outside and aren't feeling the same feelings the engaged couple are. You just worry, but you have to respect it and it's nice to see it work out for you, and for so many other people. I guess we forget women used to get married much younger before :) Pretty sure 18 was an old cat lady at one time. It's all perspective. I tell people that they will get married when they've learned all their single lessons. Some learn faster than others. And I think people who made you feel badly about being married young were just jealous. I mean seriously, don't we all want to find our soulmate and sooner than later? dressing like a polygamist--oh my that made me laugh--because I know how true that can be at times!! i'll join the married young club here (day after i turned 20). I didn't finish college, and right now I am ok with that. and ok with my lack of capitals in typing. but the hubs and i have often said that getting married young and starting our family early means that we get to enjoy REAL adulthood earlier. you know--the time in your life when kids are old enough to babysit each other & you have a few coins to rub together--i.e good date nights. we know that if we hadn't chosen this route we would NOT have had our 4 beautiful children, we probably would've stopped at 2. We wouldn't have lived the places we have, made the same choices, etc. Plus it's sometimes fun to watch all the people my age just starting to have kids...and sit back and say--yeah...been there--done with that. I was engaged at 18, married a few months after I turned 19. Some of my friends thought I was crazy. Never regretted it once. And, shocker, we're still in love and together after many, many years. Married young too and I have never regretted it! My sis in law married really young (17) and they are 17 years into it and very happy, so I think everyone should do what they know is best for them! Its awesome you found someone so young! Just curious, what is the age difference between the two of you? Kelise, we are almost exactly 4 years apart. His birthday is 10 days before mine. I'm another of those that wanted to marry at 18 when I was a little girl/young teenager who didn't end up doing so. I'm also one of those people who wonders (secretly and only to myself, I promise I never ask out loud!) at people who are engaged/married at 18/19 years old. After reading this post I've had a few thoughts. First & foremost I am so grateful that I never opened my mouth and asked the questions you wrote about (I've probably thought all of them but the polygamy one & the parent's permission one :O ). Second,I'm glad you answered those questions here so that I can know the perspective of someone who married young. I'll remember your answers the next time I have those questions in my mind and am tempted to offer unsolicited advice or unkindly judge someone who marries young. Thanks for the great post Jenna! I'm part of the club too. I got married at 18 and I am beyond the moon happy with that decision. We have been very happily married for 10 years now. I never regretted marrying young. However, I do personally hope my kids wait a while before marriage. I want them to fully experience life, travel, go to college, be young and carefree as long as they want! Of course if they meet the love of their life and want to get married I will be happy for them. I just know my hubby and I could handle being married young because we were already intense and goal driven and didn't want to waste time. But for my kids I hope they can be young for a little longer. To each their own.